It’s going to be a short post today, no goals scored by any Koreans in Europe over the weekend, but a notable proxy victory over Arsene Wenger and Arsenal – more on that in a moment. All apologies as this post is a day late as all the news that’s fit to post ended yesterday -coincidentally my in-laws are here at the Tavern visiting. I can only say good things about them, anything outside of the company line and I will get lashings by my yobo. She can be a harsh mistress. Nevertheless, The Tavern owner abides. Let’s recap Friday action -one game to note: we reported earlier that Cha Du-Ri‘s Fortuna Dusseldorf whomped on Eintracht Frankfurt 4-0. Cha subbed in the second half as a defender – could his experimental role as a forward and as a midfield be over now? Saturday’s big match of the weekend: Swansea is the big winner of the proxy grudge match against Arsene Wenger and Arsenal for their ill treatment of our boy Park Chu-Young last year. 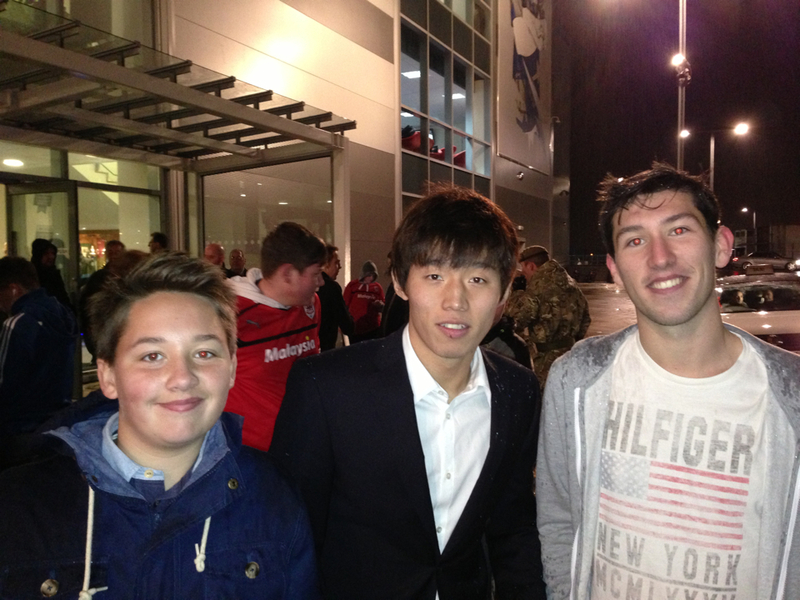 Swansea swagger, Ki Sung-Yeung midfielding and Spanish style football + 2 late goals (88′ and 90’+1) by Micchu sealed the deal. 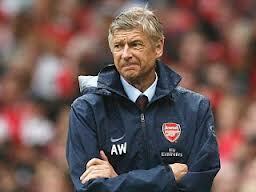 Arsene Wenger’s painful expressions towards the end of the match was priceless. Before the game, Arsenal was one position ahead of Swansea in the Premier League table. After the game, not only does Swansea leapfrog over Arsenal to 7th place (right behind Everton), Arsenal slips down to 10th in the table, right behind Stoke City. More consequences: Arsenal fans not only staged a protest of the sky high ticket prices at the Emirates, there’s renewed calls for Arsene’s dismissal. A postive consequence for Swansea: they are within striking distance of a Champions League spot. With 23 points to their name, only 3 points separate between Swansea and Tottenham for the 4th and last coveted Champions League qualifying spot. How did Ki do you ask? While it wasn’t the best game, he had a decent performance overall. He had no shots on goal in this match. The Tavern is holding it’s breath for his first Premier League goal – he’s been on the cusp of scoring for some time now. NOTE: the 3rd round of the FA cup draws have been announced. Unlucky for Arsenal, they get to face ‘Swanselona’ again, sometime in early January (possibly the 4th or 5th of January). Augsburg 1: Frieburg 1. Koo Ja-Cheol went 90 minutes in this draw. More good news for Augsburg, they are no longer in last place in the Bundesliga. Grunther Furth holds that distinction now. Augsburg is still fighting to get out of danger and relegation. QPR 1: Aston Villa 1 Park Ji-Sung 45 minutes for the entire second half. The draw still finds QPR winless – tying a record for worst Premier League start. One more game and they are eligible for a consolation sub sandwich. Bolton 1 : Ipswich Town 2 Lee Chung-Yong strangely enough didn’t get the start, came in the 63rd minute for Chris Eagles in this frustrating N-Power Championship loss. Smoke ’em if you got ’em boys, no doubt it’s going to be a loooong season for Bolton. Norwich 2 : Sunderland 1 Ji Dong-Won not in the 18 man roster. One gets the distinct feeling that Martin O’Neil’s side is on a rapidly sinking ship. Ji is expected to go on loan to Augsburg in January. UPDATE: today Ji had a goal in a U-21 match against Stoke. Sunderland’s U-21 won the game 4-0 according to their official website. Wolfsburg 1 : Hamburg 1 Son Heung-Min returned from a hamstring injury that left him out of a midweek match. He subbed in the 2nd half and got in 37 minutes in a frustrating 1-1 draw with Wolfsburg. Hamburg got on top first with a Beister strike in the 27th minute. By the time Son came on the pitch for Beister (presumably to avoid having a 2nd yellow), the game gradually swung towards Wolfsburg way, with the inevitable equalizer coming in the 68th minute. For his part, Son had some decent plays, mostly good touches on the ball, but was not able to fully integrate himself for large stretches of the 2nd half. He was able to participate in a few decent counterattacks, but the team could not muster enough to find the go ahead goal. Celta Vigo 1 : Levante 1 Park Chu-Young entered the match late in the 85th minute and didn’t have enough time to have much impact in the match, a disapointing 1-1 draw with Levante visiting – disappointing in that Celta seemed to be in the drivers seat for most of the match, with an impressive 64% possession rate. A late equalizer with 1 minute of regulation time left deflated a confident Celta side, with numerous opportunities squandered in the efforts to get the go ahead goal. SportalKorea correspondent and blogger Santiago Perez had his first hand account of the match here. Over in South Korea, K-Talk had a flurry of updates as a historic K-League season wraps up…and a decision on Park Jong-Woo finally came out. FIFA took an unusually long time to give the Korean Olympic team midfielder a verdict on the controversy surrounding his “Dokdo is ours” sign following the bronze medal victory over Japan last August. He was issued a small fine and a 2 game suspension. The light penalty may give hope that FIFA will issue Park his bronze medal finally. That decision is still pending. Meanwhile, the 44th and final round of a long, exhausting and groundbreaking year for the K-League ended last weekend. K-talk’s highlighted a neat photo from the snow-on-pitch Gangwon FC and Incheon United match. Some interesting results at the end of the campaign: Seoul FC wins the title and Gwangju joins Sangju Sangmu to be the first teams in K-League history to have the distinction of being relegated. Another interesting result: Ulsan Hyundai Horangi, who won the Asian Champions League two weeks ago and representing at next weeks’ FIFA Club World Cup, will not get a chance to defend their Asian title. The Tavern in an earlier post discussed this possibility – a bizarre AFC rule doesn’t give an automatic qualifying spot for the title winners. That is very different from UEFA’s Champions League model. If you recall, Chelsea had to beat the odds and win the whole tournament back in May in order to qualify for the Champions League this year, dramatically knocking out Tottenham despite their (usually qualifying) 4th place finish in the Premier League table. Lots of things to discuss in the near future, all good for the Tavern in order to sell more metaphorical beer around here. That reminds me, time to stock up – that’s my cue to go. Have a good week and I’ll try to post up as soon as humanly possible (yes yobo, I’m coming….the life of a Tavern owner is never easy).